To make MCPE more like "the older brother" you can download a lot of mods. One of these is the PC HotBar which adds to the game all the necessary stats of your character. 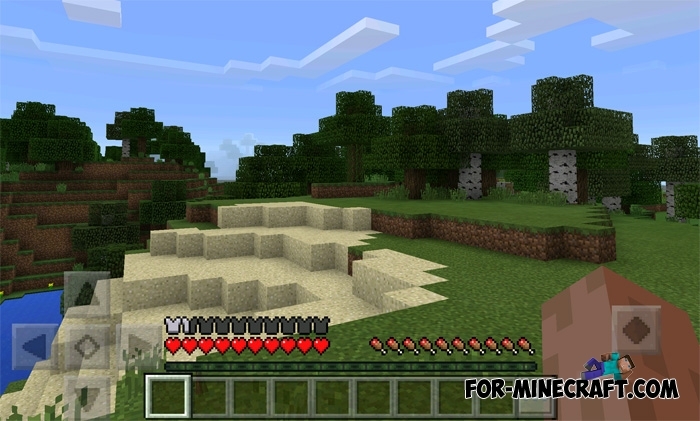 It will look as though you're playing on the PC version of Minecraft. The only difference are control buttons, but this is a game for smartphones so do not be discouraged. 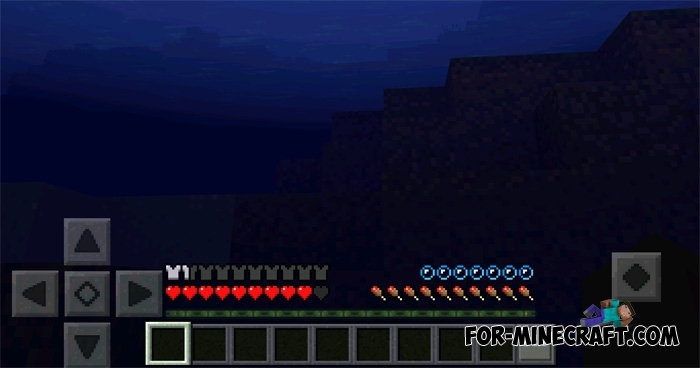 Since the PC HotBar is the usual resource pack, you will not have difficulties with the installation. If you want even more to change the game, you can always download the PC GUI mod for transformation of the interface. Download the file and go to the main game menu. Then go to the global resources (settings) and select the downloaded file.